Petrophysicists, geologists, operations geologists, geo-modellers, reservoir engineers, geophysicists, core analysts or anyone with a year’s experience with logs or formation evaluation. Bring your laptop with MS Excel. This course will teach you how to evaluate reservoirs and to quickly review, cross check and certify petrophysical results. Robust reserves and simulation are achieved by the logical, systematic integration of all relevant data. A quality interpretation is extremely cost-effective compared with data acquisition or development mistakes and essential with today’s complex reservoirs and data sets. Proper integration replaces the need to run expensive, irrelevant logs, explains apparent data conflicts and provides the correct answer faster, strengthening your position as an operator and competent petrophysicst. By contrast, stand-alone log analysis often results in wrong decisions and weakens your position in the eyes of your business partners and colleagues. This course, evolved over 25 years of petrophysical consulting and training, demonstrates how robust answers are achieved by the logical integration of diverse data. Pay and reserves are addressed first by Quick Look Log Analysis and then by a disciplined, logical process to optimize the interpretation of Porosity, Saturation, Permeability and Fluid Contacts – the basis of Reserves. Low Contrast Pay, clastics and carbonates are evaluated by straight forward integration techniques which outperform log analysis with direct, plain to see results. The integration of Mudlogs, LWD, Wireline, Facies/Rock Types, SCAL, NMR, Dielectric, MDTs and Well tests are explained via the author’s 28,000 core plug PetroDB-WEB software. Finally, the crucial Petrophysics to Geomodel checks are clearly set out. This course is a condensed package of powerful integration techniques. It uses an interleaved sequence of lectures, micro-practicals, Petro-DB-WEB demos, micro-practicals, movies and workshops to convey a flexible and very powerful petrophysical method. It’s manual provides a comprehensive and lasting benefit to the novice and experienced student alike. 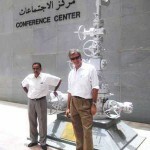 This course was the first public petrophysics integration course (Jan1990) and remains.. The Benchmark Petrophysics Course today! – The RockType Master Equation: What is it? How do I use it? – Daily Interactive Petrophysics and PetroDB-WEB demos. – Excel Petrophysical Toolbox: All workshops, Swpc:n calibration, Shaly Sand QL LAS evaluator, 100+ Eqns, PetroDB-Vault extracts, HPV Sensitivities. Dr Mark Deakin is a consultant, author and lecturer in Petrophysical Data Integration. He holds a Ph.D. in ‘Integrated Petrophysics’ from London’s Imperial College, is an ex Amoco petrophysicist, and has more than 30 years’ experience, including 15 as a lecturer and director of PETROPHYSICS Pty Ltd. He has performed over 50 detailed reservoir studies, primarily in Southeast Asia’s difficult carbonate and stacked ‘low-contrast-pay’ reservoirs, keeping abreast of new technologies by technical reading, operations work, attending short courses and lecturing. Mark’s proven approach is to identify and rank reserves uncertainties, then guide companies toward defensible reserves via a process of targeted data acquisition, data-hierarchy and systematic integration. After his Ph.D. Mark authored the first public Integrated Petrophysics course which has evolved into the industry benchmark course for mainstream petrophysics. Deakin also developed “Integrated Petrophysics for Carbonate & Fractured Reservoirs – A Roadmap” and the powerful PetroDB-WEB core-log-test linked database evaluation for complex reservoirs. Deakin is a member of SPWLA with offices in Perth, Australia.